New synthetic elastomers, modern additives developed with the method of nanotechnology, and the use of composite materials, help us expand the properties of our range of conventional elastomers to cover an even more extended spectrum of applications. 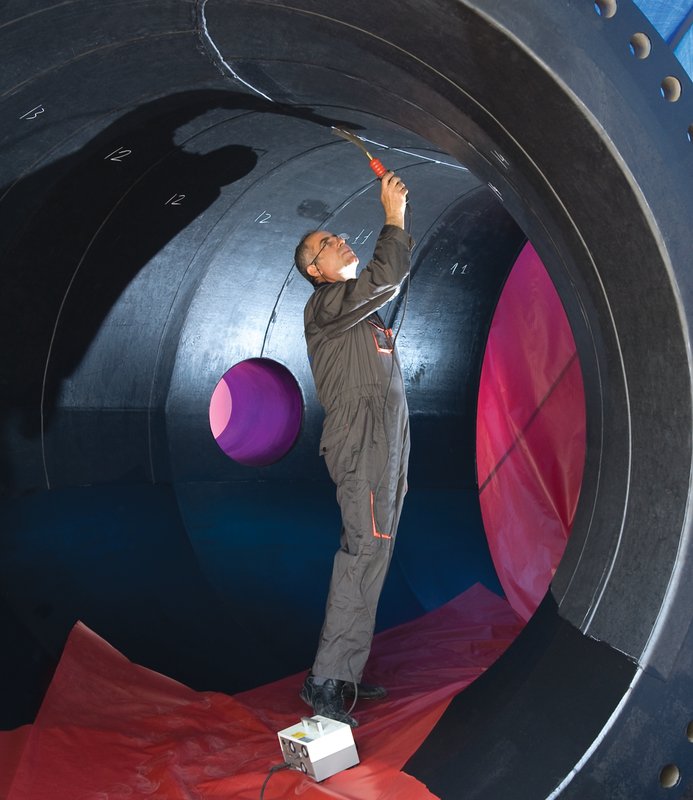 Our commitment to quality, along with expertise on all modern developments in elastomers, have given us a prominent position in the rubber roller industry, an extremely important distinction in the current highly competitive industrial environment. Cast polyurethane elastomers cover a wide range of mechanical properties that goes beyond the technology of conventional materials. They are the only response to heavy industry in highly stressed and extreme mechanical loading applications. Polyurethane elastomers are top materials in applications that require both high hardness and a high level of mechanical properties, as well as a high level of material uniformity, an extremely significant property for elastomer-coated rollers, in many industrial applications. Applications intended for use of polyurethane elastomers require expertise in making the right choice of parameters and materials. Our know-how and experience guarantee that you will find both in our company. New roller covering compounds with very low friction rate and anti-adhesive properties, coverings with high abrasion resistance and elastomers with special requirements in electrical properties are just a few examples of the possibilities that the combined application of materials can offer. 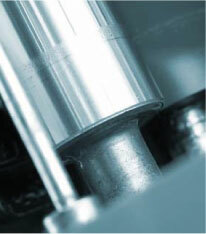 The components of every roller covering compound are carefully combined to offer the best possible result. This synergistic interaction of different materials on a roller surface can lead to exceptional properties not easily achievable by conventional means. Metal cores can be made of different materials, such as steel, stainless steel, aluminum, bronze, or a combination of them. These metal cores can be used with or without coverings, with a specially treated surface or even with specialized coatings. Using reverse engineering methods, but also as a result of study and appropriate processing of the recorded actual conditions of each process, we offer our customers integrated metal roller cores. In this way, our company offers complete manufacture of industrial rollers intended to cover the needs of graphic arts, the manufacturing industry, textiles, or even important applications of the metal industry. Light cores made of composite materials are setting a new bar in the performance and reliability of rollers, and they are an ideal choice for the manufacturing industry. Using the method of filament winding and suitable qualities of carbon fibers, we can adjust the torsional and static rigidity of cores, depending on the requirements of each process, offering our customers high-performance, affordable rollers. Composite and multi-layer materials offer clear advantages and, in most cases, they can replace conventional steel and aluminum cores. These advantages include a reduced weight, in combination with increased roller rigidity, which results in a low rotational inertia and a capability of rotating at high speeds. For demanding applications in paper processing, plastic film and aluminum foil industries, light cores have a direct effect on productivity and quality of the final product. Cores made of carbon fibers and epoxy resins can be coated both with rubber compounds, and with polyurethane elastomers or other composite coatings. In this way, we can achieve a wider range of applications and we can provide to producers of the manufacturing industry light rollers with anti-abrasion, anti-adhesive, anti-static, acid-resistant or other surfaces. Manufacturing wooden crates and appropriate packaging for the safe transfer of your rollers. In the industrial world, corrosion is responsible for damages worth millions of euro every year. In cases where chemical agents and abrasives cause corrosive damage to containers, pipelines, metal parts, and tanks made of concrete, V. Kivotopoulos SA provides technological solutions in the field of corrosion protection. Because of their high flexibility and strength, elastomeric compounds prove to be resistant to abrasion and for this reason they are considered the best solution for the anti-wear protection of metal and concrete surfaces. We offer our customers a wide range of elastomeric compounds which can be applied either on-site or in our facilities.